Blending dispensers aren’t new to petroleum marketers. The industry has been using them for decades to offer customers multiple grades of gasoline by blending fuel from two storage tanks. Dispensers can generally blend any combination of the fuels, in increments of 1%. GASOLINE AND FLEX FUELS CANNOT BE SOLD FROM THE SAME HOSE. 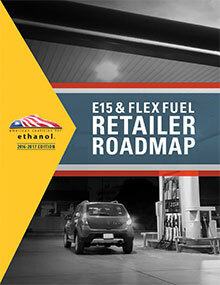 Recently, marketers have used the dispensers to offer different flex fuel blends by pulling fuel from a tank containing gasoline or regular E10, and another containing ethanol or an ethanol blend. (NOTE: Fire codes may have restrictions or additional requirements when storing E98 ethanol.) 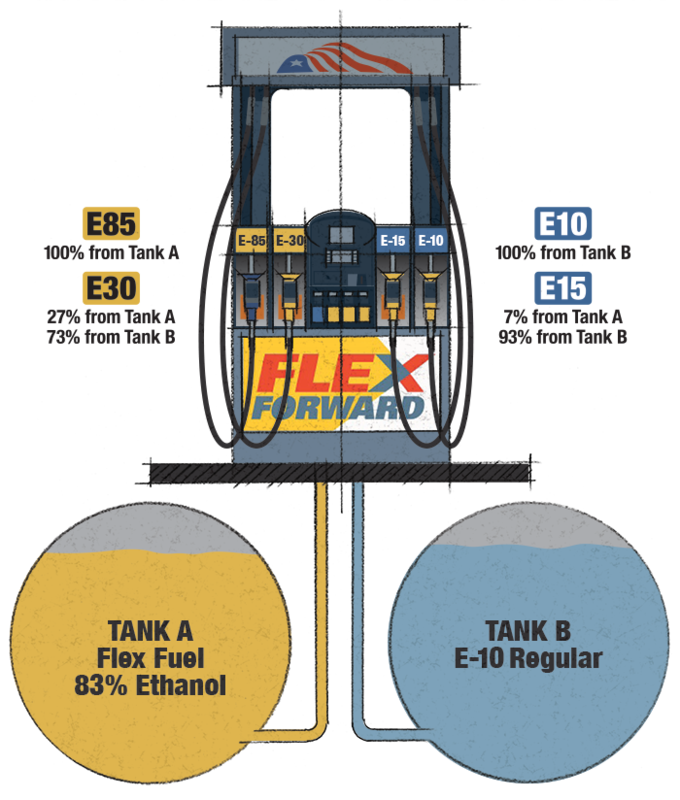 The illustration below shows a common configuration used at stations offering E10 and flex fuels, with one tank containing E10, and the other containing E85. There are many, many configurations available from all major pump manufacturers, check with your equipment provider for the options available to you.